Plot: Emmet, Wild Style and the gang must fight the seemingly indefatigable enemy from the Systar System: the ever-smiling but deadly DUPLO. 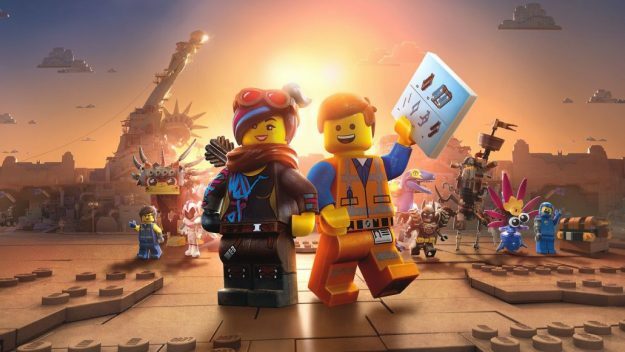 With stunning visuals, a riotous ride and the cast on top form - The LEGO Movie 2 is a smash hit. Just strap in, leave your troubles at home and try not tapping your feet! 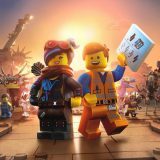 It’s been five years since The LEGO Movie graced our screens. And five years have passed in that world too. Picking up in the moments immediately following the curtain call on the first instalment, via a combination of flashback and neat exposition, we learn that the dreaded DUPLO invaders have taken over and systematically destroyed our hapless hero Emmet’s world; leaving in their wake a post-apocalyptic Mad Max-style landscape. So, The LEGO Movie 2 picks up where it left off: in its own (now trademark) irreverent, self-referential pastiche style. That’s thanks largely to returning duo Phil Lord and Christopher Miller, who wrote and directed 2014’s instant classic. This time around they’ve taken a more executive role, still penning the script but handing over the reins of directing the action to Mike Mitchell, who has previous in big budget kids’ movies. Lord and Miller also now serve as producers, ensuring their brand stays, well…on brand. One-time super-villain, Lord Business, appears only as a cameo here (one of too many others to mention). Instead Emmet, Wild Style and the gang must now fight the seemingly indefatigable enemy from the Systar System: the ever-smiling but deadly DUPLO. The first thing to say is that this is just as much fun as the first film. A few new characters keep things feeling fresh with our staple heroes still delivering the laughs (Will Arnett as the narcissist Batman can never get enough screen time). Where it inevitably lacks the originality of its progenitor, The LEGO Movie 2 makes up for it in ambition and grandeur; forming a shiny, glowing and bulging genre-kaleidoscope of a movie event. The songs, too, have been upgraded and will no doubt be synonymous once again with the film’s guaranteed success. Whereas kids’ films from the 80s used to scare you half to death in to behaving yourself appropriately, forcing involuntary searches under your bed for the malignant and always-lurking-to-get-bad-children evil forces, the 21st Century moral compass has shifted considerably more towards shining a light on all that is glorious and beautiful in our world – to give hope in times when there might otherwise be none. So, there are some rather crow-barred and very American-Dream aspirational style wholesome messages for pre-pubescent viewers, about how change is OK and to just-be-who-you-really-are etc etc (see here the character of Queen Watevra Wa’Nabi…), which is all a bit heavily ham-fisted but, still, not a bad message for kids growing up in this crazy world. With stunning visuals, a riotous ride and the cast on top form (Pratt’s so good he gets to play two roles) – The Lego Movie 2 is a smash hit. Just strap in, leave your troubles at home and try not tapping your feet!